The Minneapolis Golf Club, located at 2001 Flag Ave. So. at Cedar Lake Road, began in 1916 by five members of the Minneapolis Athletic Club to meet the growing popularity of golf in those days. There were only two golf clubs in Minneapolis at that time – Interlachen and Minikahda. 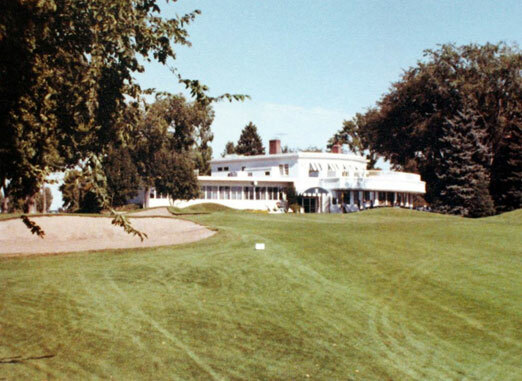 At first the 9-hole course was located on what is now the Golden Valley Golf and Country Club. Later that year it was moved to St. Louis Park. 1916 was the same year the first PGA Championship was held. The 175-acre club was and remains a private course. The golf course was designed by famous Scottish architect Willie Park Jr. (1864-1925) of Musselburgh. An existing four-room farmhouse was converted to a clubhouse. The club’s first event at its new location, a match play versus bogey, was held on May 19, 1917. In 1920 Donald J. Ross (1872-1948) of Dornoch Park produced a revised routing of the course to make way for a new clubhouse. In 1950, trap shooting at the course was a popular sport. Dale Caldwell has been the greenskeeper since 1985.